The running, pushing, strolling, walking and posing starts at 10:00 am so please plan to arrive at least 45 minutes early in order to check-in (please bring your confirmation email, but don't stress, we will have a VIP guest list) and get your race bib, shirt and special gift for your passenger. We realize this is early and anything can happen with kids so we will have the race course start open for 30 minutes for anyone who ends up having a "bad morning". Please also keep in mind that it will be hot on Saturday so dress yourselves and your children appropriately. Please be sure to bring plenty of sunscreen. We have an amazing day planned for you! One of our goals is to introduce you to local fitness leaders who can help you stay active and relieve stress long after this race is completed. Starting the run off right, we have the Fit4Mom team leading the pre-race warm up at 9:30am! They have a really great (and fun!) warm up planned, so you're not going to want to miss it! 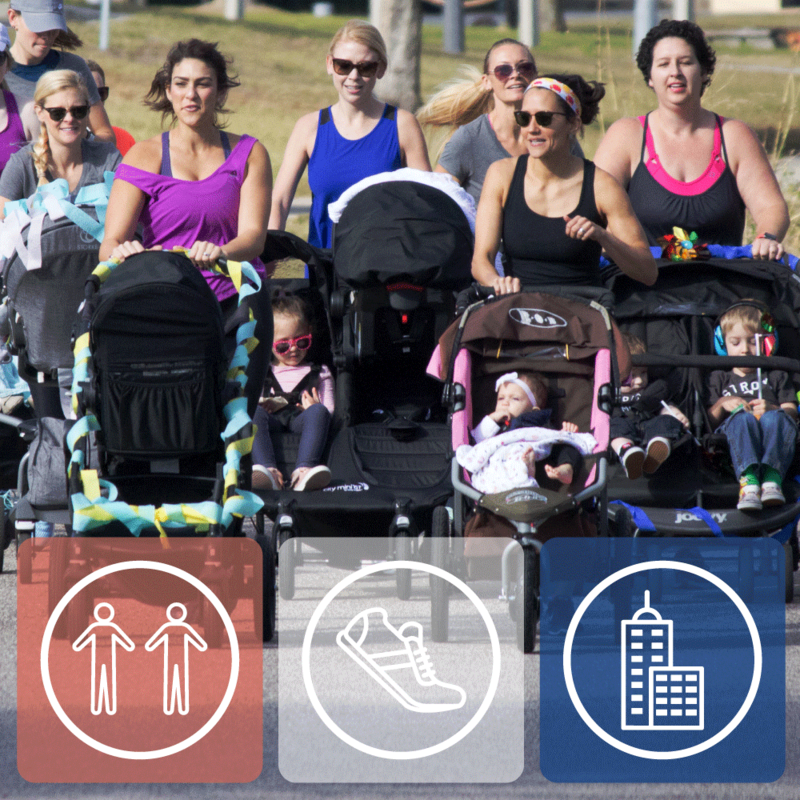 Following the race, Stroller Strong Moms will be leading our post-race Cool Down Flow at 11:00am. Following the cool down we will also have a pelvic floor physical therapy demo and two Athleta demos. Please don't forget that we will have prizes for the best decorated stroller so have some fun with the little ones getting ready for the race. The course will start and finish at the Carousel Lot. Runners will then head north on the paved Harbor Trailer and enter the paved MNCPP trail and then turn around at the bridge and head back. We are so excited to have two amazing food vendors at the Mom Expo! They will be serving local delicious food that everyone in the family will be sure to enjoy. After the "race', please enjoy the many amenities at the National Harbor including food, activities and our vendors at the Mom Expo. Please note that we did not receive enough interest in the kids camp and will not be providing this service for this event. We are overwhelmed with the positive response for this first year event. So many Moms (and Dads) have told us their stories and how this event is a springboard to them getting out and getting fit. Not only that but we are helping The Ronald McDonald House at the same time! Not bad!